Optimize your subscription spending. Avoid duplicate article orders and streamline your workflows. Use single-source access and our intelligent automated filters to save costs and get the right content at the right time. Reprints Desk is trusted by R&D-driven pharmaceutical, biotech, medical device, and manufacturing companies worldwide. 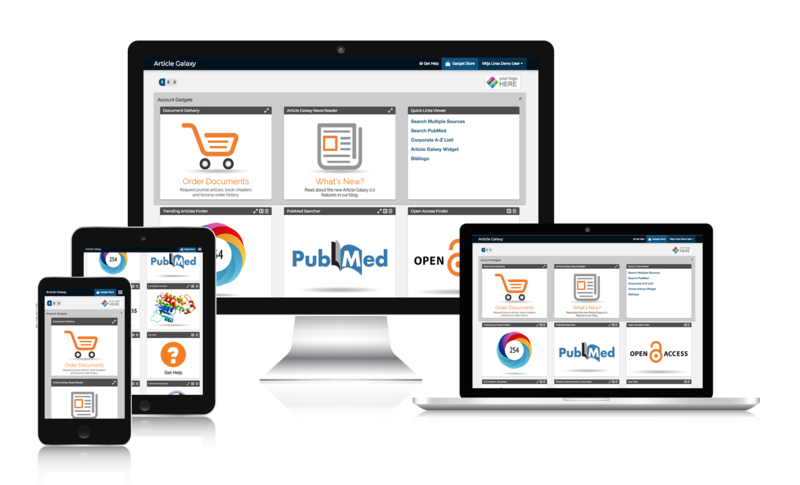 We provide secure, robust and scalable literature access and everything else - from self-service and mediated library workflows to library portal solutions and staffed 24/7 customer service. Are you a corporate administrator looking to serve your internal end users? Request sales info to set up your enterprise account. Save time by integrating Article Galaxy into your preferred workflow by OpenURL or Web Services.